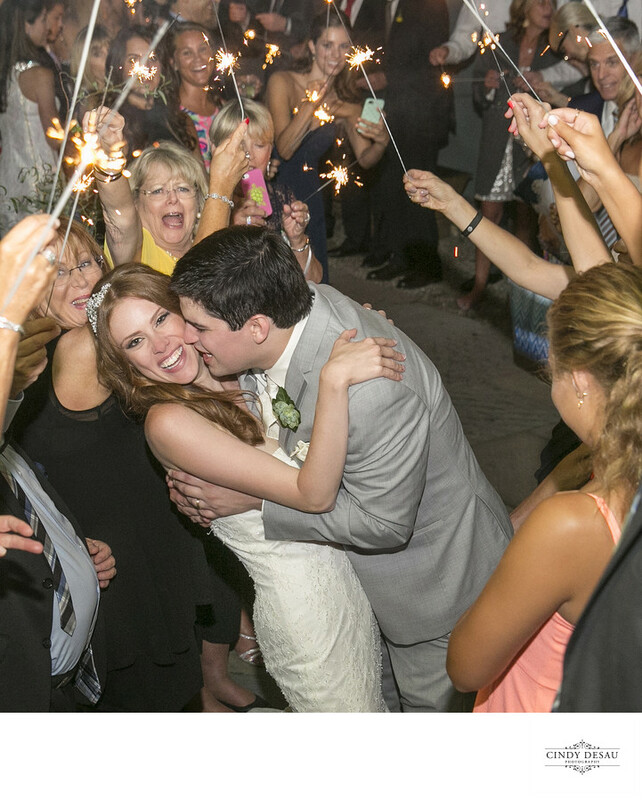 Sparkler send-offs are popular with brides and grooms. At the end of the reception, all of the wedding guests line up, each with a sparkler, while the bride and groom run through them. It’s a fun photograph to do, and both guests and bride and groom seem to enjoy it. These guests cheer for the just married couple as they stop to enjoy the moment. When working with sparklers, many times I’ll just take the bride and groom outside with sparklers and try different types of creative photography such as long exposures and off-camera flash. I’m always trying something different! If you would like to do this on your wedding day, I would recommend you get the longest sparklers possible. They burn quickly and depending on your number of wedding guests, it takes a little time to prepare and for the venue to light them all.